On Saturday 13 October Destination Brisbane Consortium threw open the doors to the old Printery Office, at 84 William Street, to give people a peek inside the recently transformed heritage building that forms part of the Queen’s Wharf Brisbane precinct. 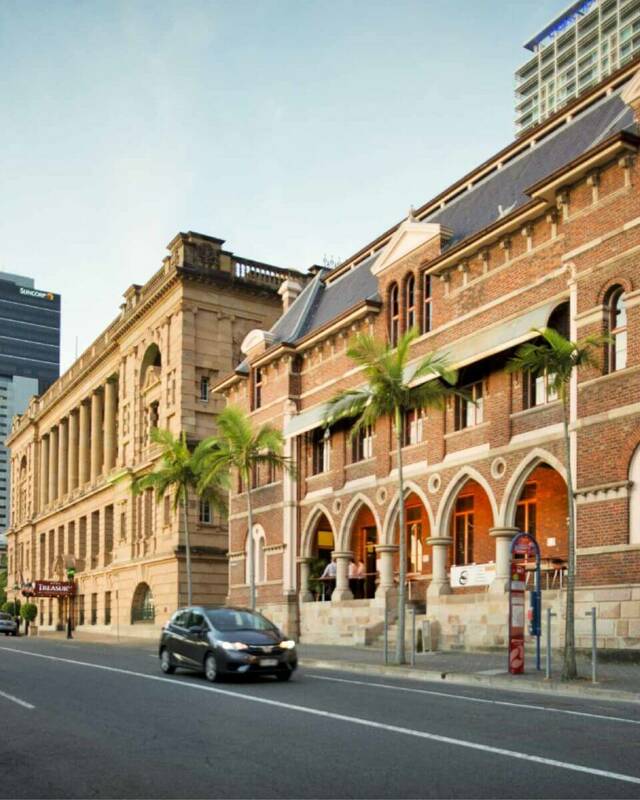 Heritage buildings in Brisbane are among our greatest treasures, and in recent years their social value has only increased. One of the most celebrated aspects of Destination Brisbane Consortium’s Queen’s Wharf Brisbane project is the mixture of iconic architecturally inspired new buildings set among the backdrop of some of our city’s oldest buildings, those that reflect the European settlement that occurred on our shores in the early 1800s. The new architectural buildings of our development will open in late-2022 along with the great majority of public space, some of the heritage buildings while the final stages of the precinct, namely the restoration and refurbishment of the Queen’s Garden surrounding heritage buildings will come online in 2024. After 2024 when the development is complete all heritage buildings will have been restored and opened to the public. They will house many of the restaurants and retail outlets of the precinct, in turn, making them some of the most active and vibrant areas in the whole development. Today, heritage buildings are highly valued architectural centrepieces in their own right and when Queen’s Wharf is complete, the entire precinct will showcase the best of the past and the present. The team members from the Consortium who volunteered their time to participate in Brisbane Open House all thoroughly enjoyed the experience and enjoyed showcasing our beautiful office building, while also talking about more of what is to come. Brisbane Open House recorded more than 70,000 people across all the buildings opened. We recorded more than 500 through our doors and expect to participate again next year – stay tuned!